This is you best ever. This needs to be entered into a contest. It is a winner. This painting is really nice. 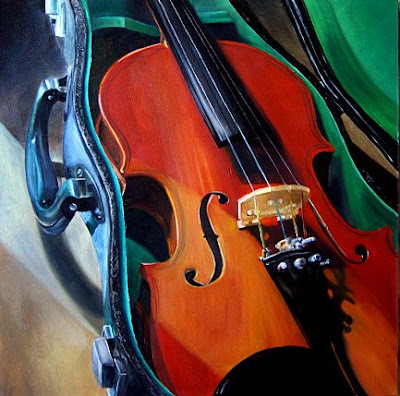 I love how the orange/gold highlights in the violin contrast with the green fabric in the violin case.